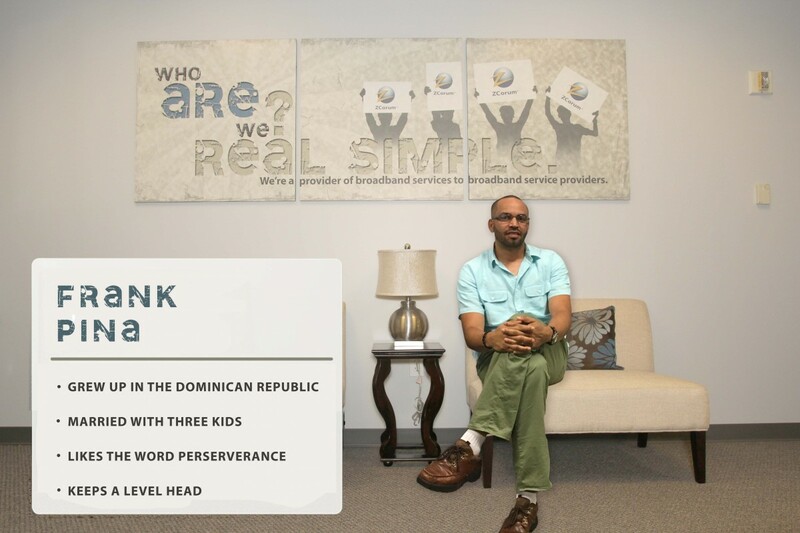 If he’s not having a sunny day, Director of Technology Frank Pina can always think about the Dominican Republic. Born and raised on the tropical island, Frank graduated and soon learned that there were just as many perks to being a tech guy as there were having sunny beaches and palm trees in your backyard. Frank came to ZCorum in 2012 and was immediately given the network engineer initiation onto the team which eventually led to him being named Director. If your CMTS is doing something weird, Frank can help with that. Even for those issues that are perplexing, he uses his experiences from the network obstacles that he’s overcome to assess the situation from a broader perspective and come up with a resolution. In his line of work, finding a solution can mean going back to the drawing board several times, but Frank continues to keep a level head because he knows there’s always a way out and he’s going to find it. How can he not be laid-back growing up in the Dominican Republic? That’s as laid-back as it gets. Even though Frank knows that the ZCorum Affiliates have to be a high priority on his list, he still finds time to enjoy doing family activities like going to the movies and having outings with the kids at the park. Frank’s wife, Evelyn, is the matriarch of the group with three little Niños, Frank Jr, Raymond, and Priscila rounding out the Pina household.